The rural complex of San Justo is composed of two rural houses; one with 8 beds and another with 6, plus two cabins; one of 4 places and another of 2. Outside there is private parking and garden with barbecues. Built preserving the arquitetonic style of the Sanabresa region and with the typical materials of mountain cabins based on wood. 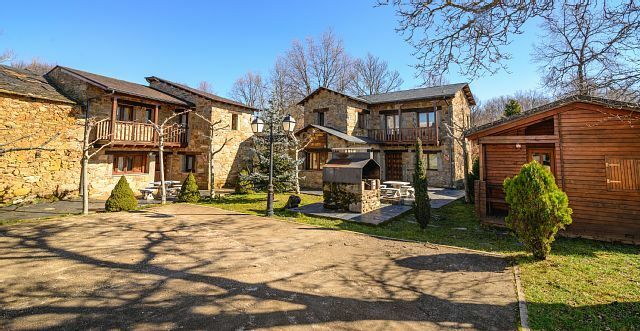 Located in San Justo, 14 kilometers from Lake Sanabria, and 12 from Puebla de Sanabria, you can enjoy the scenery and nature that this region invites us.